The Shakedown Cruise. 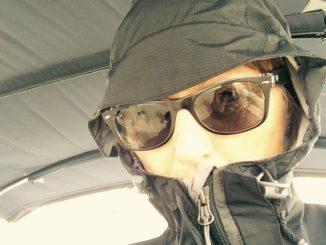 What is it and why do we recommend it before going cruising? Let’s start at the beginning. 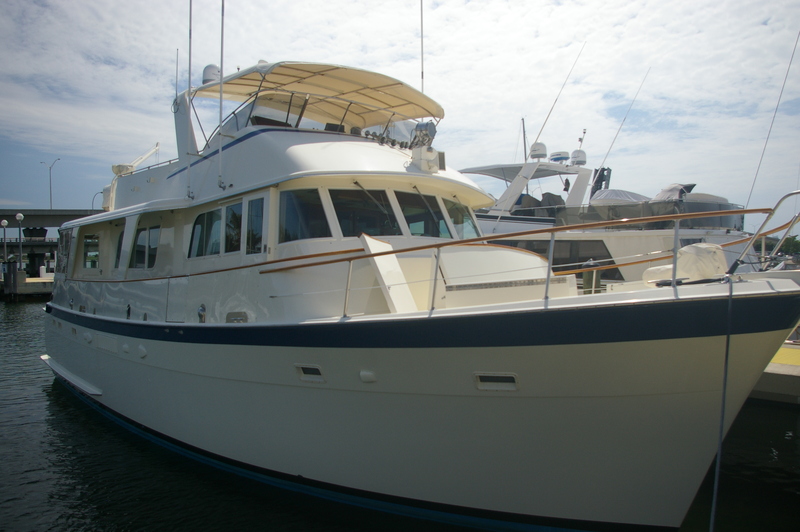 Recently a couple purchased this wonderful 58 foot Long Range Cruiser (LRC) built by Hatteras. 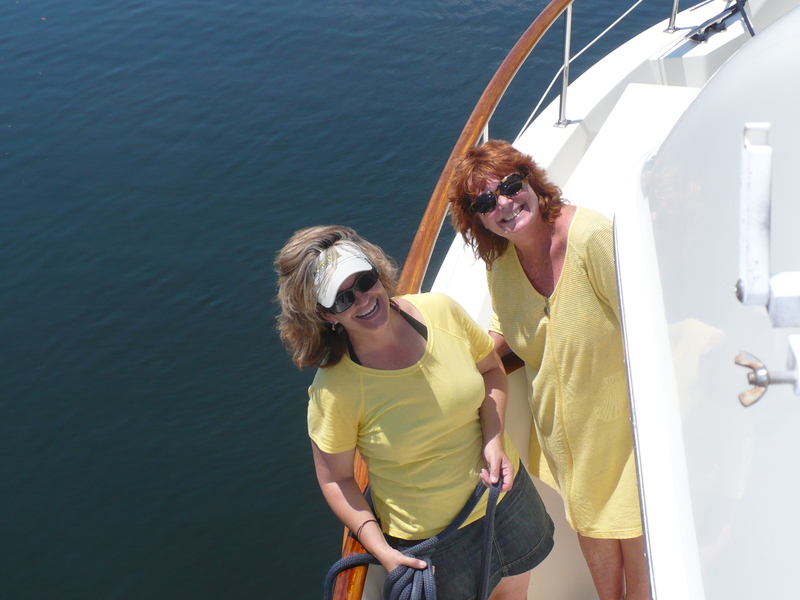 This couple moved up from a 23 foot Sea Ray, a boat that was actually part of a club where you could play with the boat but never have to do any maintenance on it. Yes, this is a leap in length, volume of boat size and systems…not to mention responsibility for ownership but we can help these new owners adjust easily. 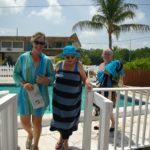 Their goal is to cruise part time on a yacht with three full size staterooms each with its own head plus a day head in the saloon. The 58LRC provides all this and more and is a fantastic cruising boat with plenty of space for everybody and everything. 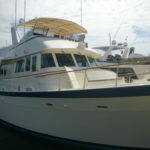 But she’s an older yacht that has been tied to the dock for a few years. 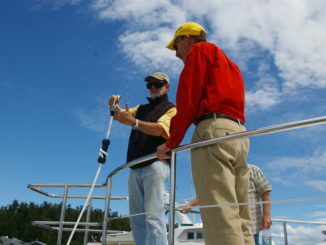 Boats don’t like to be dormant and a shakedown cruise can help us discover things that a survey doesn’t always reveal. Because we don’t like surprises we bring many spare parts and plan to stay close to shore during this training trip. 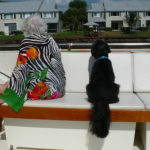 We set our course to cruise from Fort Pierce, FL to the Florida Keys and back during the next week or so. 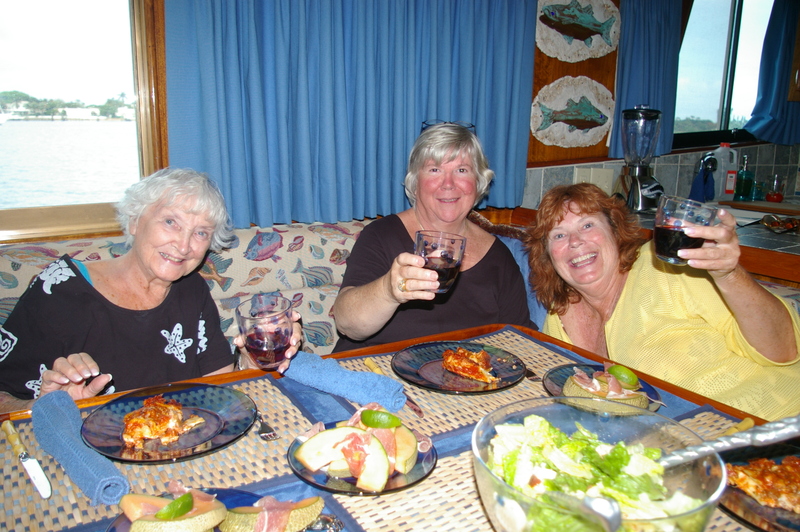 The cruising lifestyle should include no schedules or deadlines and allow for many changes in plan. This is an important concept to grasp before you plan your cruise. 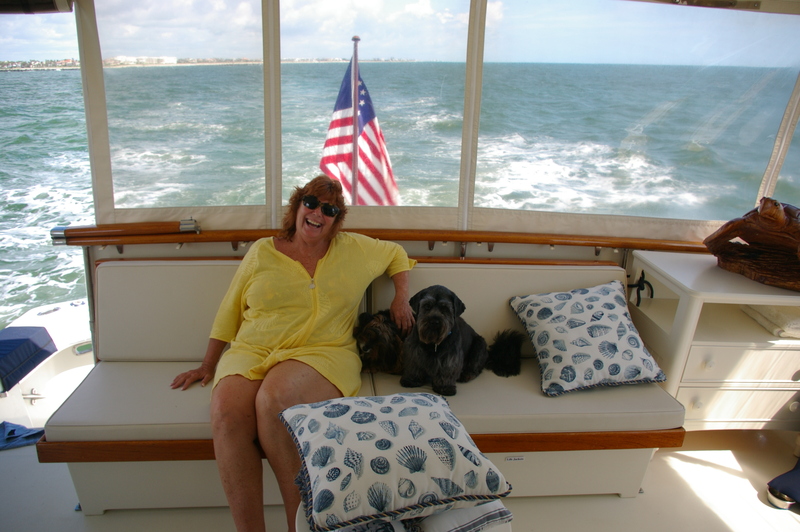 We cast off and cruise south on the ICW through the St. Lucie Inlet and head out to sea. Parallel to the beach, turtles and flying fish surround us 2 miles off shore. Nearing Lake Worth Inlet 60 miles south of our starting point, we spy the landmark red and white twin smokestacks of West Palm Beach. 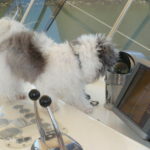 Into the pass, west to the mainland shore and south in the ICW we locate the perfect anchorage. Set the hook and watch the sun set. Nice. 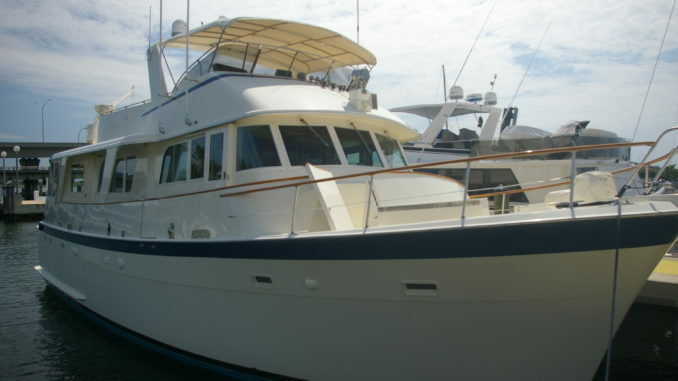 After a few marina stops – Boca Grand & Miami Bayside- for the owners to share their new-to-them toy with old friends, we do some preventive maintenance in the engine room, pump out the holding tank and head south once again. 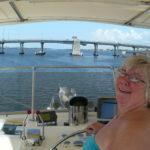 Leaving the dock around noon, we pass the Tequesta Statue and enter Biscayne Bay beneath the Rickenbacker Causeway Bridge. This stately LRC glides along the bay where we scan the bottom for old lobster pots and sponges. 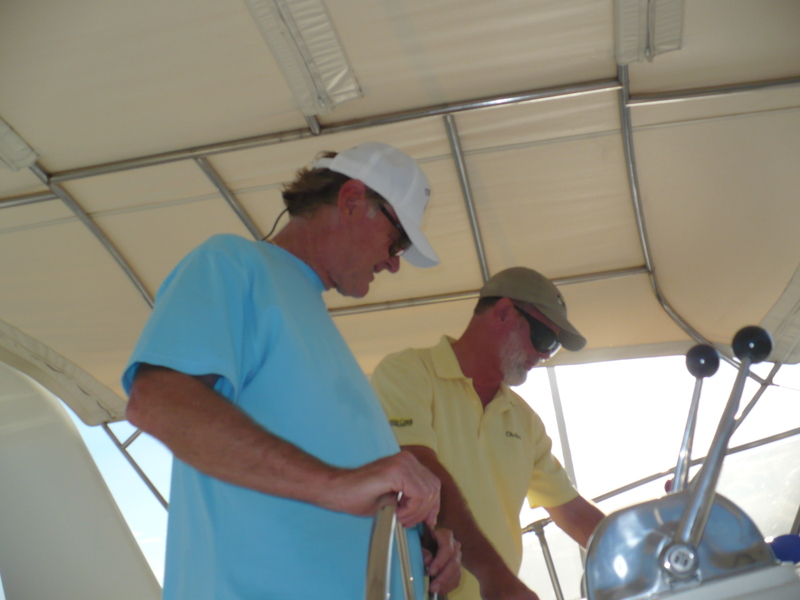 Because of our late start we decide to anchor near Boca Chita Park, launch the dinghy and putt-putt into the small lagoon for a visit. Another beautiful sunset with the Miami skyline in the distance. The evening thunderstorms are magnificent with bolts of lightning dancing in the clouds. 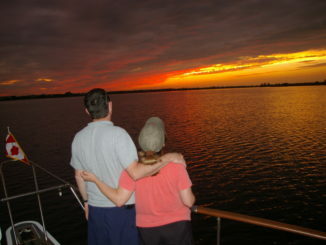 Reality check has us turning the boat north to begin our trek back to the world. 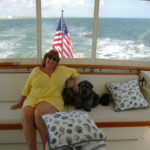 Cruising through Biscayne Bay and into Miami, we head out Fisherman’s Channel into the beautifully calm Atlantic Ocean. 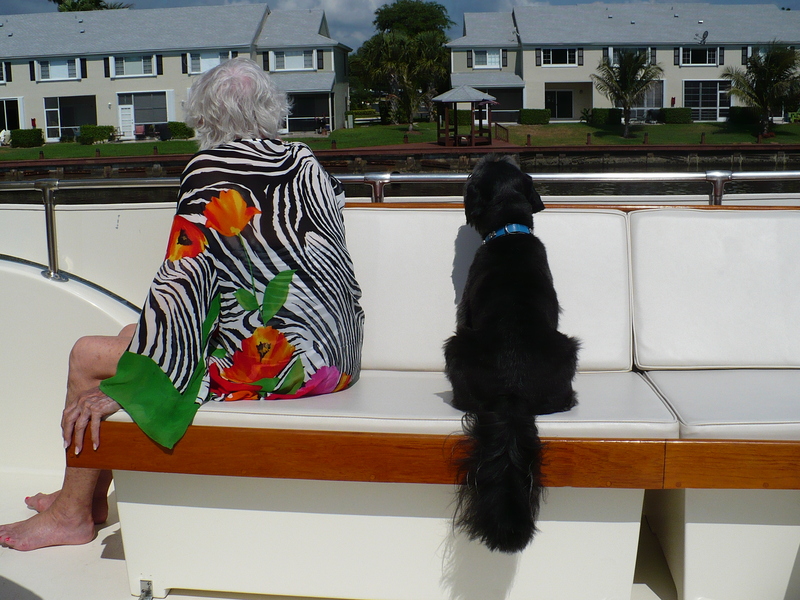 We hitch a ride in the Gulf stream and head to Fort Lauderdale. Using the Cruising Guides we discover the Hilton Hotel has dock space available at a great off season price. 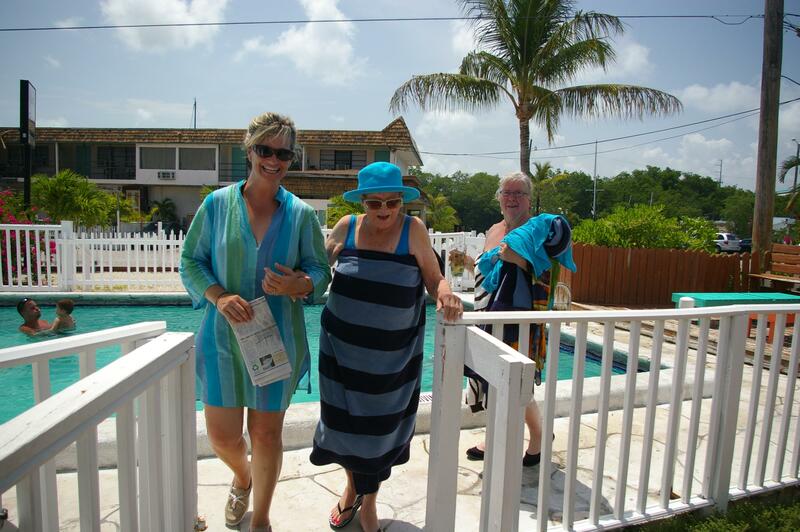 The better deal is the swimming pool to combat the sultry summer afternoon. 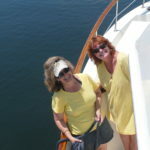 Our second to last day aboard we once again find the Gulf stream cruising north for Palm Beach. 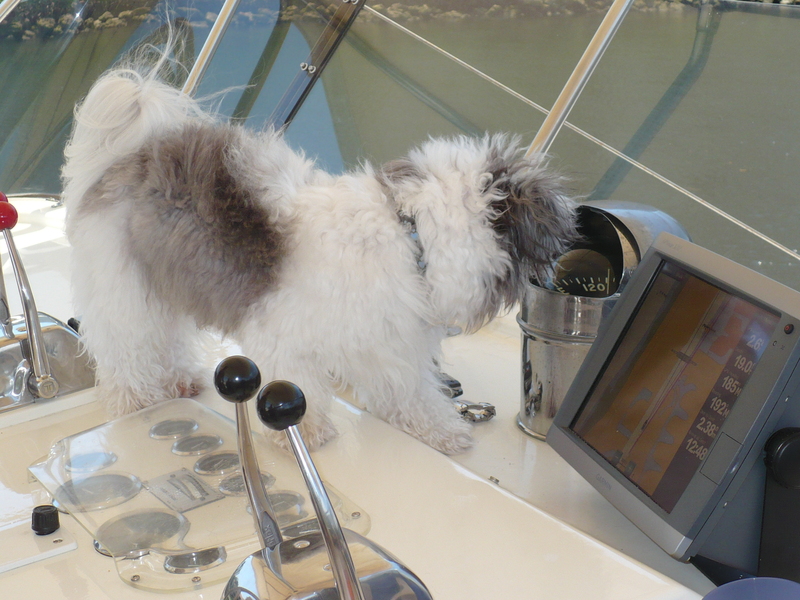 We set lines hoping to catch a dauphin or billfish and can relax with the help of the autopilot. As time passes we witness a Marlin jump a few times but no strikes. The Gulf stream is so fast that we are making 12.3 knots SOG, speed over ground. Hmmmm. Maybe we can continue home to Fort Pierce inside of daylight? 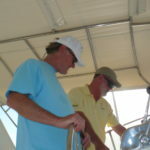 Keep in mind this boat cruises economically at 8 knots so the additional 4 knots given to us by the stream is a bonus. It helps that we left Lauderdale before sunrise. 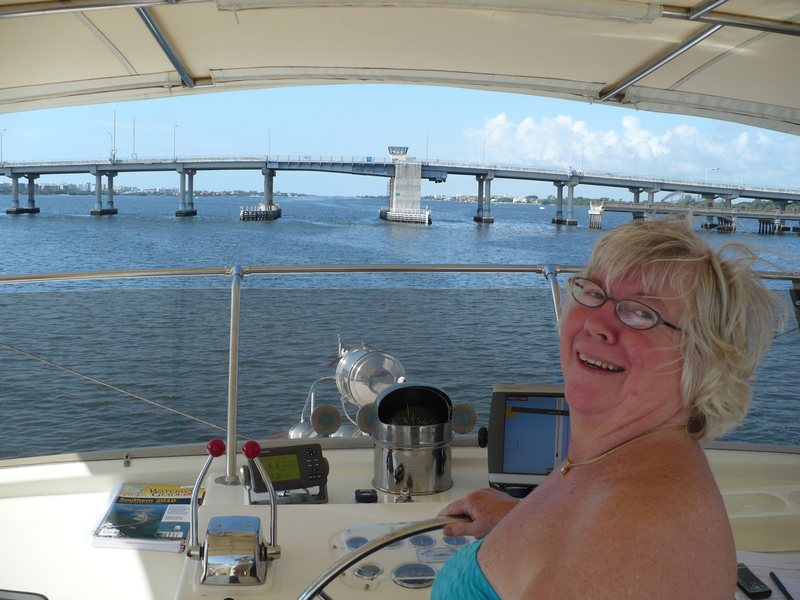 We zoooooom passed Jupiter Lighthouse, thread the jetties at the St. Lucie Inlet and complete our journey well before dusk. 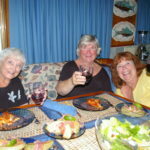 Nice trip for these new owners to become comfortable and confident with their 58 LRC.